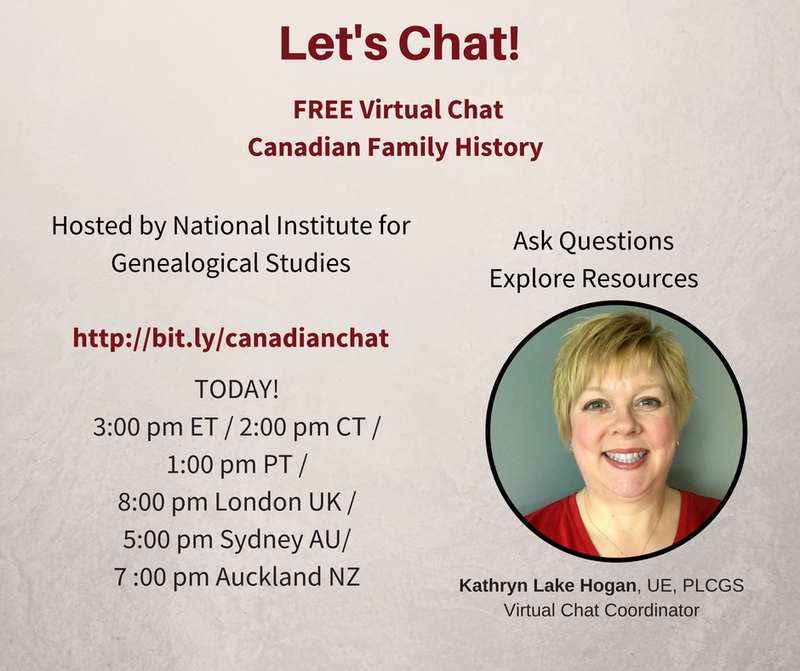 Join me today at 3:00 pm ET to talk about Canadian Family History. Come prepared to ask questions, and I'll do my best to answer them. See you there?